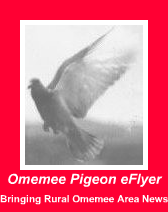 Omemee Pigeon eFlyer: Omemee Job Opening ! Sandwich Artist! Omemee Job Opening ! Sandwich Artist! Sandwich Artist : Your Ideal Omemee Job? Omemee job openings are few and far between, though at the turn of the century there were many jobs available. Did you know Omemee was once a day's journey from Peterborough? Omemee was a bustling town with hotels, a furniture store, bakery, feed mill, and many other businesses. With the increased price of gas, and the short range of electric motors, could Omemee once more become a thriving community where travellers stop for the night between Peterborough and Lindsay, or at least a 5 hour charging stop? That possibility is one being explored by one Omemee forward thinker on the Omemee Omprovement Group Facebook Page. However, that is a future possibility. Today's jobs are few and far between. FTC Disclosure: This post containers affiliate links that pay the author a few cents when you make a purchase. Thanks.Every penny helps! ✳ Earn while you learn! Up to $100 banked Signing Bonus! ✳ Become a certified Dog Trainer. Funding may be available. ✳ New DSO Canadian Jewelry Company Offers Free Start up -Message editor for details. What Omemee job opportunity did we discover? Here is today's Omemee job opportunity details. Position Summary: A Sandwich Artist greets and serves guests, prepares food, maintains food safety and sanitation standards, and handles or processes light paperwork. Exceptional customer service is a major component of this position. Tasks and Responsibilities: Prepares food neatly, accurately, and in a timely way. Demonstrates a complete understanding of menu items and explains it to guests accurately. Exhibits a cheerful and helpful manner when dealing with guests. Checks products in sandwich unit area and restocks items to ensure a sufficient supply throughout the shift. Cleans as directed. Greets guests and prepares their orders, uses Point of Sale system/cash register to record the order and computes the amount of the bill, collects payment from guests and makes change. Understands and adheres to all quality standards, formulas and procedures as outlined in the Operations Manual. Accounts for all forms of money, bread, etc. during the shift Understands and adheres to proper food handling, safety and sanitization standards while preparing food, serving food, and clean up. Maintains professional appearance and grooming standards as outlined in the Operations Manual. Performs light paperwork duties as assigned. Head over to Macs and apply today. What do you think can be done to jump start the Omemee job situation ?